Jose Mourinho's toxic relationship with Paul Pogba has deteriorated still further after it emerged yesterday that the Manchester United manager compared his star midfielder to "a virus" in an angry dressing-room inquest at St Mary's. 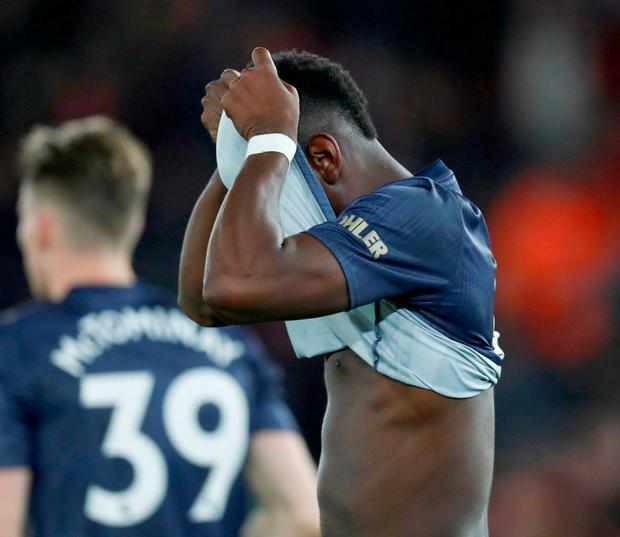 Mourinho's outburst, which is understood to have taken place in front of the rest of United's players minutes after the 2-2 draw with Southampton on Saturday, will inevitably place greater scrutiny on whether Pogba has a long-term future at Old Trafford. Mourinho and Pogba have had a volatile relationship since the player's return to Old Trafford for a then world-record fee of £89million in 2016. Earlier this season, the France international was stripped of the vice-captaincy after he informed Mourinho he wanted to leave the club, while the midfielder has also been critical of Mourinho's tactics, which led to him being gagged from speaking to journalists after matches. But Mourinho's latest verbal assault on the World Cup winner is sure to test whether Pogba can hold his tongue in future, given its severity. "You don't play," Mourinho is alleged to have told Pogba, in comments first reported by the 'Daily Record'. "You don't respect players and supporters. And you kill the mentality of the good, honest people around you. "You are like a person with a flu, with a virus in a closed room - you pass that virus to the others." 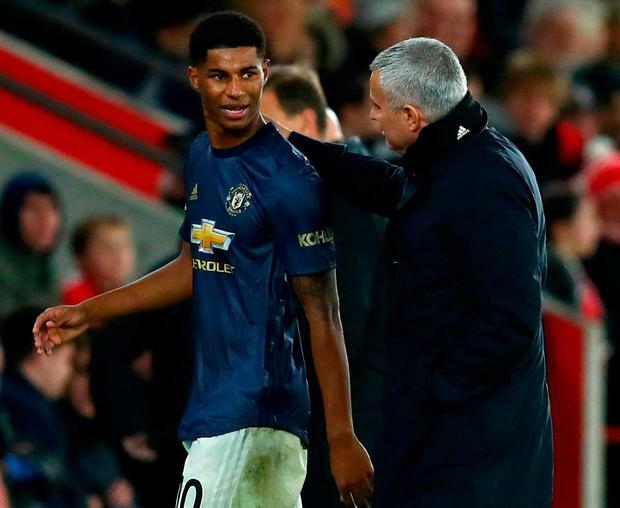 It is believed that Mourinho was particularly angered by one second-half incident at Southampton, in which Pogba lost possession to Nathan Redmond and then failed to track back. It resulted in Redmond firing off a long-range shot, which was palmed over by United goalkeeper, David De Gea. It typified the performance of Pogba, who was so lackadaisical and off the pace that, you suspect, had he bent down to tie his laces, he would have found that his opposite number, Mario Lemina, would have already been there and done it for him. Neither was Mourinho alone in censuring his display, with former United defender Phil Neville saying Mourinho would have been within his rights to denounce him publicly, let alone in the supposed privacy of the dressing room. "You watch Pogba today, I'm sorry, if [Mourinho] had done an interview after the game and said, 'Oh, Paul Pogba was fantastic', that's a lie," he said. "He wasn't fantastic. He was sloppy, he caused United problems. Deal with it." In the context of yesterday's revelations, Mourinho's withering assessment of United's inadequacies in midfield against Southampton take on a more pointed hue, even if he opted not to name names. "We lost so many balls in midfield, we lost so many balls in our transition to the last third, it was difficult to have that continuity," he said. "When the players don't understand that simplicity is genius, especially in some parts of the pitch, and they keep and keep and keep going to complicated football, it's difficult to have continuity." Pogba may have been in the firing line but, in truth, this performance, and result, was just as great an indictment of the manager, whose own position also complicates the picture around Pogba's future. Mourinho also claimed on Saturday that his squad lacked "mad dogs", players prepared to throw caution to the wind and go for the jugular. But nowhere is the deficit of such qualities more obvious than in the dugout. This is a manager hamstrung by an addiction to restraint. Thus it was that, faced with an opposition who had not won a home game this season, an opponent sitting third bottom, an opponent apparently there for the taking, Mourinho decided to field a five-man defence shielded by two defensive midfielders and leave his most in-form striker on the bench. He blamed his selection on the fact that Phil Jones was his sole available centre-back. But loading his team with back-markers proved futile. First, none of the seven back men had the wherewithal to follow Stuart Armstrong as he found space on the edge of the area to drill home a smart opener. 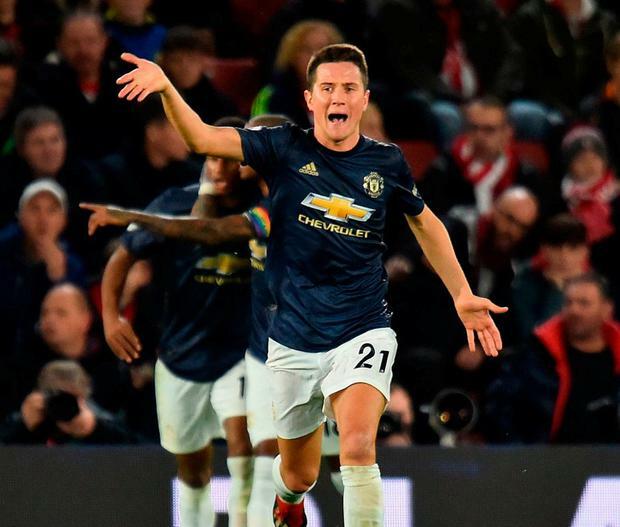 Then, as if to give practical demonstration of how it is possible to overthink, Scott McTominay, the tallest of his defenders, presumably on instruction from the manager, knelt down behind his own wall as Cedric Soares swept home a free-kick to double Southampton's lead within the first 20 minutes. But it was what happened after United had forced their way back to parity, with two goals which transcended their mire of incompetence, that showed most clearly how Mourinho's aversion to risk is acting as a hand brake to his own ambitions. Half-time came and went with no apparent change in approach. With a full 45 minutes to exploit Southampton's nerves, the game-plan remained as it was. Then, after 77 minutes, he took off Marcus Rashford, the player whose exemplary determination had set up both United goals. What was so self-defeating about the substitution was the identity of those the manager left on the field. Players such as Romelu Lukaku, a man who would have difficulty trapping a bag of cement and who promptly injured himself standing on the ball; and, of course, Pogba.